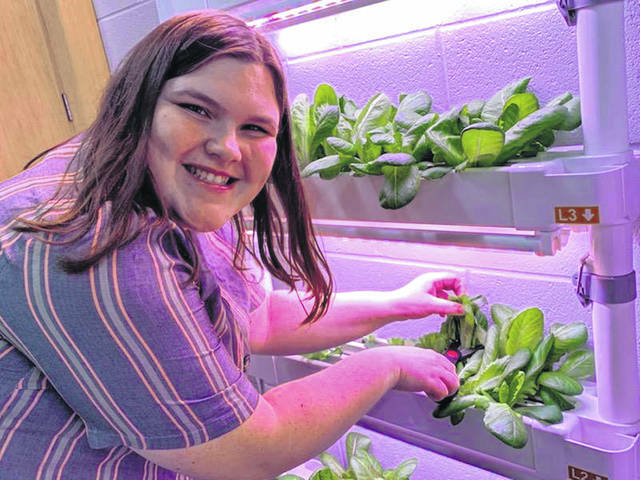 Senior Ashlyn Dunn cuts fresh lettuce from the hydroponic system to serve staff. 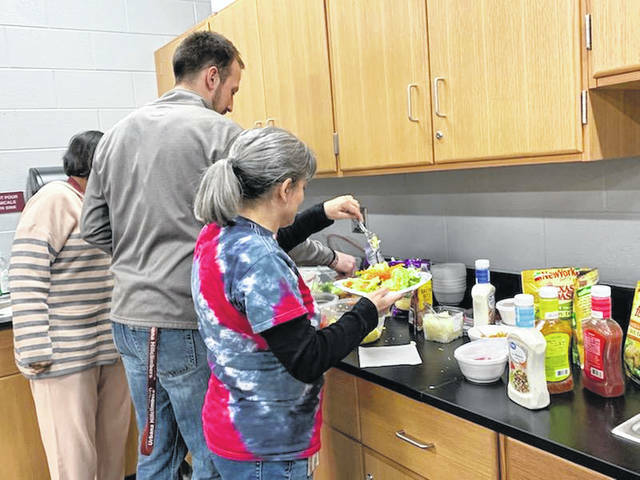 UHS staffers, from left, Sharon Murphy, Patrick Trenor and Kathy Zaborowski dig into the salad bar in the Ag Classroom. In the Agriculture program at Urbana High School on any given day, you may see oddball and random projects and experiments, from hatching chicks, DNA extraction, antique tractor restorations to woodworking projects and making dog treats. Recently students have been engaged in learning about plant production through a vertical hydroponic system. Last fall senior Ashlyn Dunn wrote a grant application through Farm Bureau to fund the system. Students set up the system, researched how it works and came up with a plan to grow lettuce for a salad bar for students and staff. All were amazed at how quickly the lettuce grew and continued to grow after being cut.